The new Google Calendar 5.0 update is now available on Android for Lollipop users (everyone else over the coming weeks). This is the the best Google app redesign I have seen yet, and I’m not sure that it is even close (that includes the Gmail 5.0 update I just wrote about). And so you know, this is coming from someone who lives and breathes in a calendar all day, every day. I have tried all the good calendar apps, even settling on Sunrise for months. Sunrise is awesome. 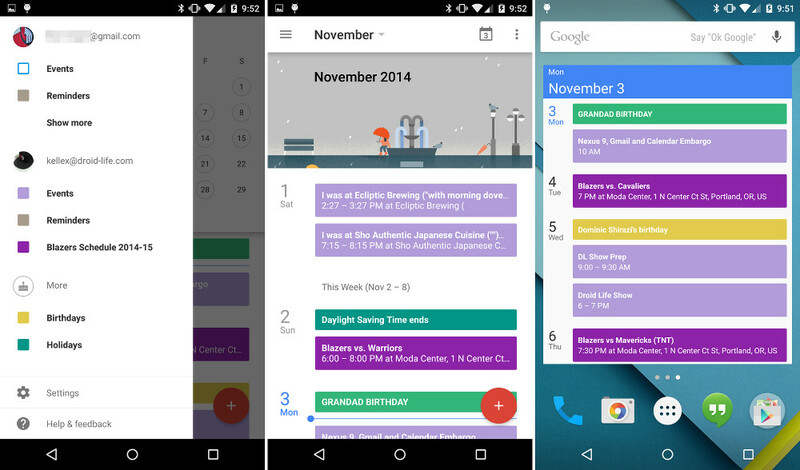 But it’s not as awesome as this new Google Calendar. I have been playing with it for a few days now on the Nexus 6, trying to form some opinions on it as we led up to today’s launch. Here they are. The old Google Calendar always felt a little forgotten and clunky. That is absolutely no longer the case with 5.0. 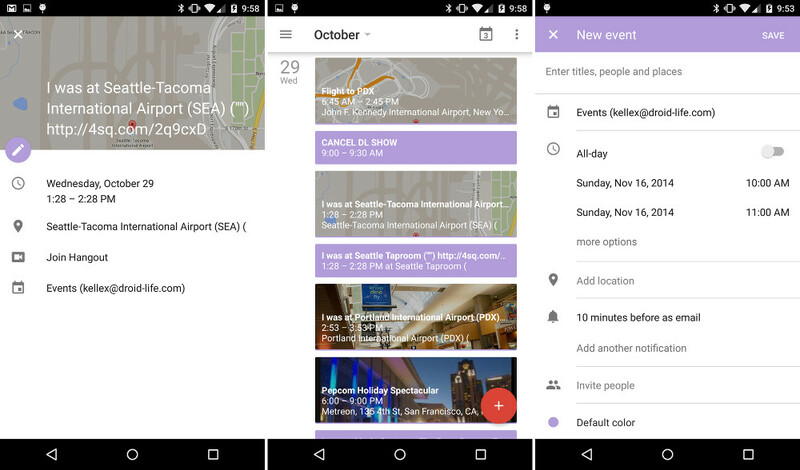 You get a full Material Design makeover, that includes a re-designed slideout menu, action bar, and floating “new event” button. It’s also much more colorful (if you want it to be) and a hell of a lot more powerful. 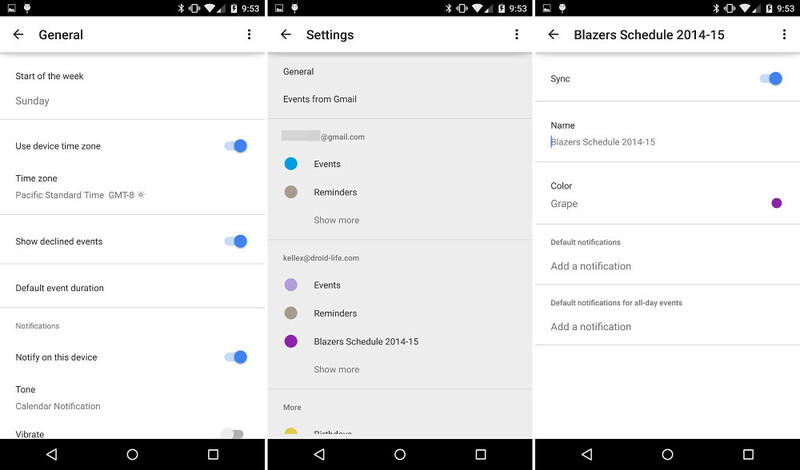 The Calendar 5.0 app can pull in events from Gmail automatically now, so if you book a flight or hotel or make a dinner reservation, that info can show up on your calendar without any work. These automatic adds will even bring in things like flight numbers and check-in times. 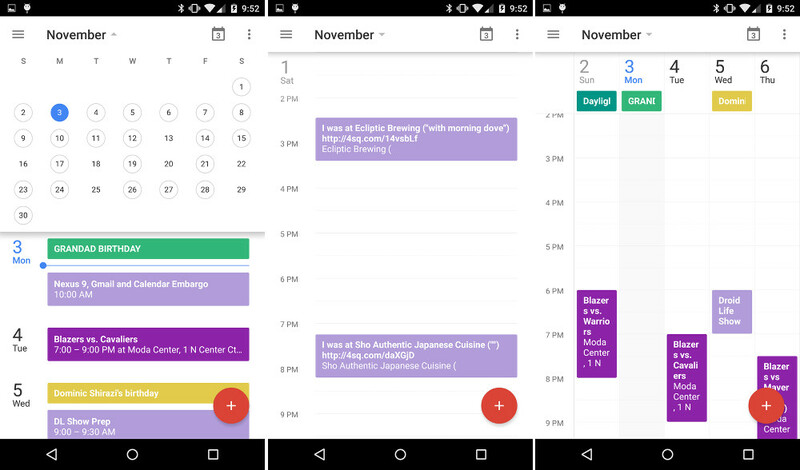 The new Calendar also tries to save you a bunch of time by assisting you with contacts, titles of events, and places as you create new events, all of which will adapt to your preferences over time. Outside of all that, my favorite new item might be the new Schedule view that is not only colorful, but brings in maps and pictures of places you are going or have been. These could be cityscapes or illustrations based on every day happenings (drinks, dinner, sports, etc.). The new Schedule view also includes colorful monthly art that brings your calendar to life a bit. Oh, and tablet mode – damn is it pretty. Check out the images below for a quick tour, but then check out Google’s video promo below to take it all in. 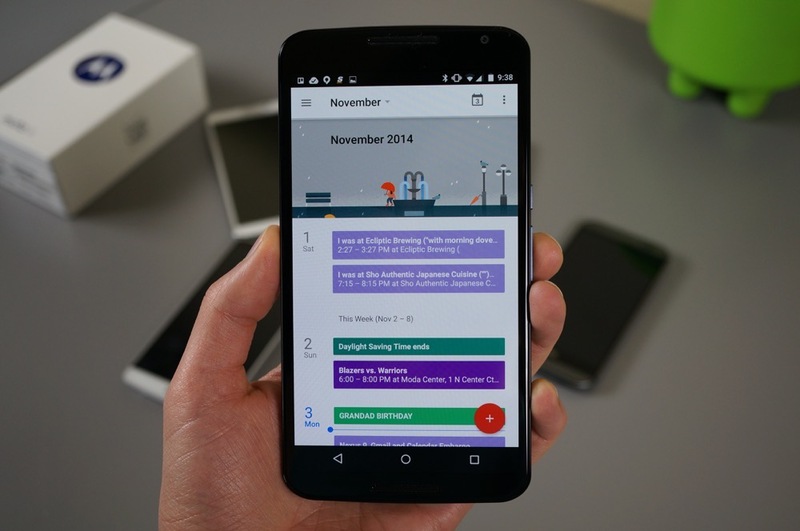 Again, the new Calendar 5.0 is available to Lollipop users today (which means people who own a Nexus 9) and will arrive to Android 4.1+ users over the coming weeks.